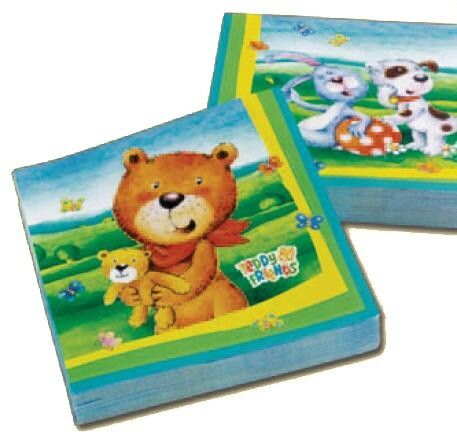 Teddy & Friends Party paper napkins includes 33X33 cm - 20 napkins. Each napkin features a colorful "Teddy & Friends" cartoon printed in the center of the napkins. Can be used in all types of parties.